Better at wind and water proofing than the Pearl Izumi, but less comfortable. Ideal for temps in the 30s. 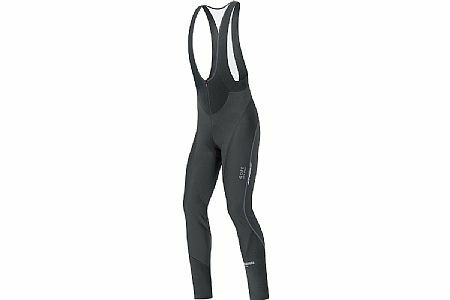 Gore Bike Wear bibtights with windstopper are the bees knees, IMHO. Good down to the teens and 20s for, at least, 60 min (the longest ride at these temps I've done). Sizing is different. I'm typically an XL in bibtights, but for Gore an L is a much better fit. I'm 6'1 and 210lbs (with an expanding waistband! ).